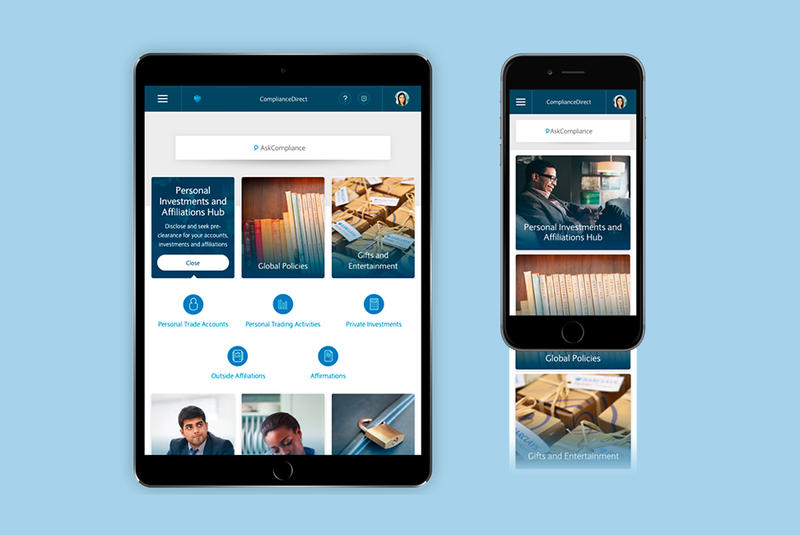 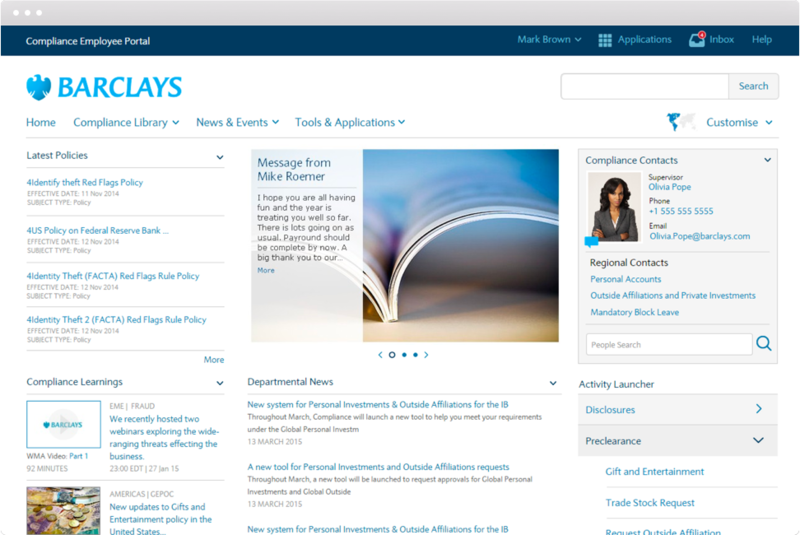 The Compliance Portal is the main application Barclay’s employees use to review annual and regulatory compliance requirements. 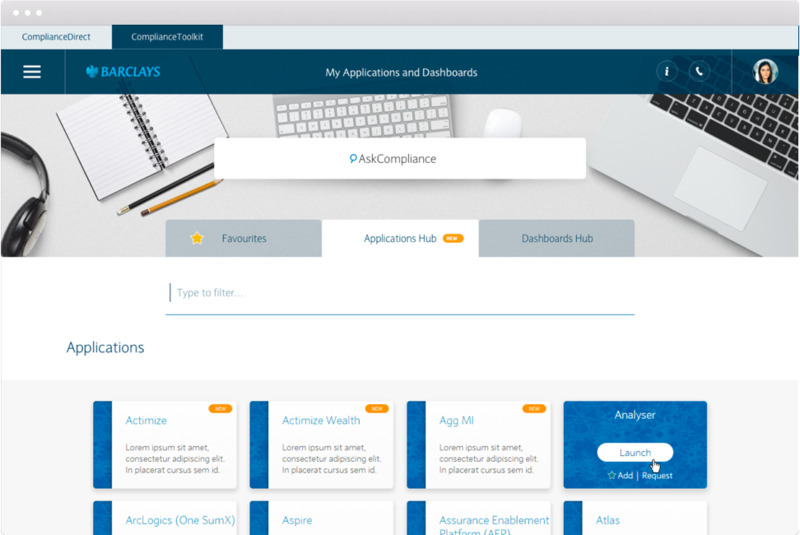 The portal displays both global and regional newsfeeds, internal messaging and links to employee services and policies across all compliance divisions. 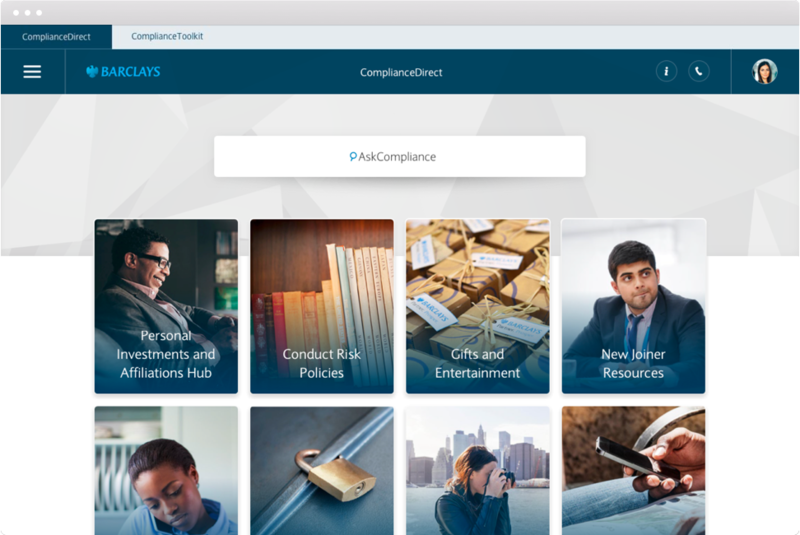 Other areas include quick access to local control room officers and news spotlights that feature the latest industry changes to the firms compliance operations.